Leading Wholesale Supplier of Tween-80, Caprylic Acid, Pyridine, Phosphoric Acid, Nitrobenzene Acid and Sodium Metal from Mumbai. Backed by the in depth knowledge of this area, we are offering an embracing assortment of Caprylic Acid to our valued clients at very affordable rates. We are offering a huge spectrum of Metabolism of Pyridine. Apart from this, these products are prepared using only high quality ingredients at our well-equipped infrastructure unit. 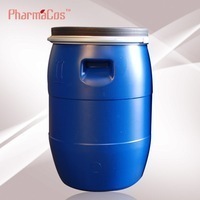 We are a foremost company for providing an extensive range of Phosphoric Acid to our customers. We offer our customers a diverse range of Acids.